Explore the galleries and discuss what you’ve learned. 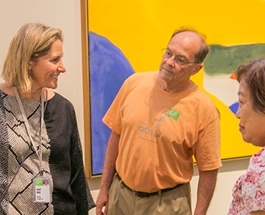 Our docents lead discussions in the galleries that will inspire you to consider art, cultures and eras in new ways. Tour + Talk Story is held Tuesday, Thursday, and Sunday afternoons, with location varying according to exhibition. The tour is free with museum admission, and free for members. 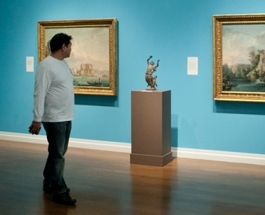 Get more out of your museum visit—take a tour.